I’ll be the first to admit it: growing herbs indoors is not as easy as growing them outdoors. But, rest assured, it can be done. Since I have a lot of greenhouse space, plenty of light and water and 24/7 attention, I never felt the need to grow them indoors, at home. But, over the years, as your questions about indoor growing became more numerous and specific, I began to grow more and more of them in our bright little ‘life of it’ room (named by my then 6 year old son, who on a cold wintery day, proclaimed that our warm sunny haven was ‘the life of it’) – not sure where that came from, but it stuck. Twenty -three years later, it’s still bright and sunny and filled with herbs ferns, gardenias and a lot of citrus trees and bushes. Our room is glass, on three sides, and has an east, south and west exposure; basically we have a lot of light all day. We have an old fashioned radiator backed up by a small baseboard electric heater. I am always out there, watering, cleaning, trimming and keeping a sharp eye out for any potential pests. So, the basics: light, heat, water and lots of attention. I do a weekly spraying with a ‘safe’ pesticide made from … herbs! 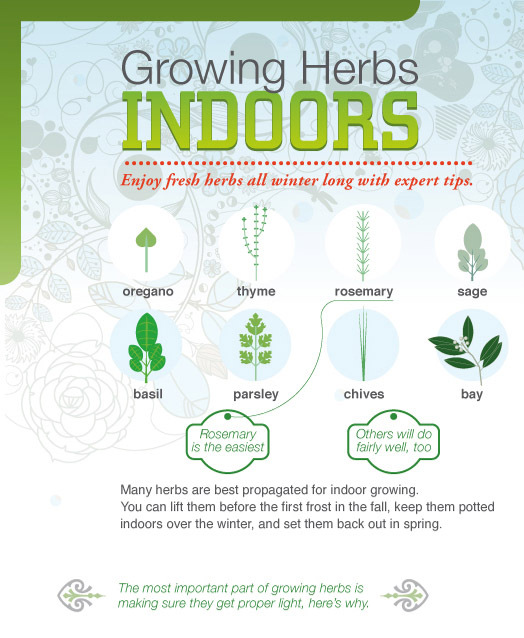 The second vital component is knowing which herbs do best indoors. We try to be specific on our site, and try to provide information on why some herbs do well indoors and why others should not be grown indoors. Do yourself a favor and take our advice. Start small and try to pick three or four of your favorites – the ones you will use. I’d suggest mint, parsley, oregano and thyme. Rosemary and lavender are a bit trickier but they can be successfully grown indoors remembering that lavenders must dry out well between waterings. A note of cautions – make sure that you don’t crowd out your plants, as good air flow between plants is a must. Put them into a 6” pot; I always chose clay but I’m beginning to branch out a bit and have bought some of those ceramic pots with a built in saucer. They come in the BEST colors. I’m not a big fan of plastic, so I’d steer clear. You don’t really need fertilizer, but if you must, use a ½ strength dilution and use a fish emulsion. And turn those pots occasionally as you really don’t want them leaning in – just rotate for nice even growth. 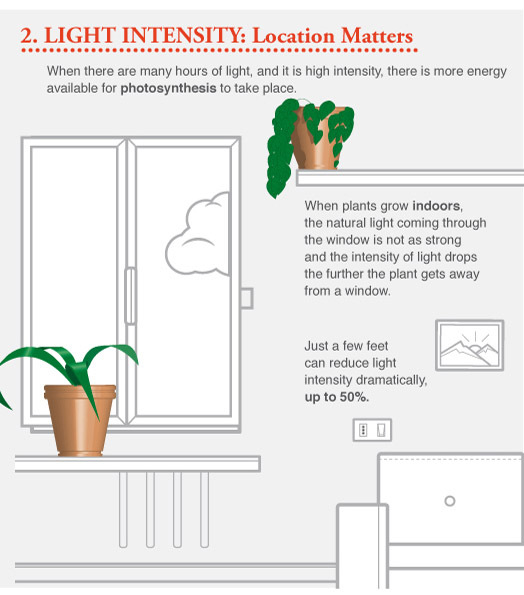 A few years ago we created a nifty infographic on indoor growing that really illustrates the importance of light on plants. 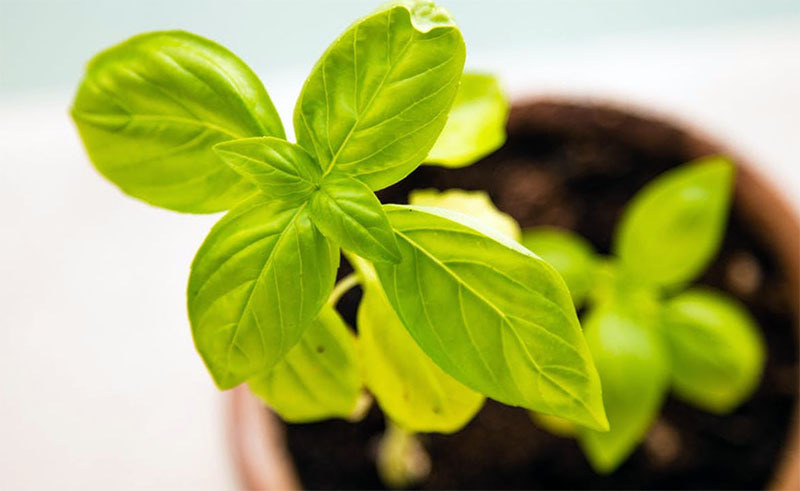 It’s helpful information for indoor growing of any plant, and followed up by more tips from us. 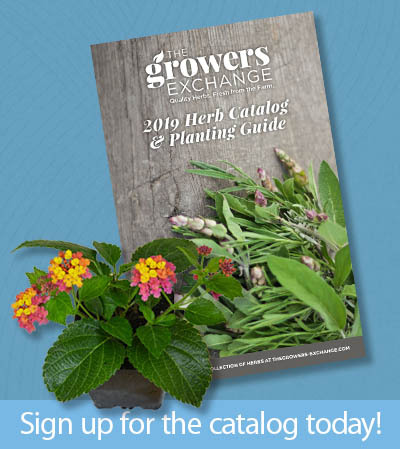 We really want you to have success with indoor growing, as you really can enjoy fresh cut herbs year round, and avoid spending $4 on a clamshell! Appreciated the Garden Minutes on Mint. Enjoy mint tea, but where we live, we have three choices if we don’t buy on the internet or grow our own indoors. Bigelow’s Morrocan Mint, Mint Medley, and organic peppermint of a couple of brands. I’ve yet to see mint in the clamshells. I think catnip is available at the local greenhouse. We are Zone A2 (Alaska’s middle zone) on the Sunset Western Garden scale. On the USDA zone system, we’d be the coldest, i suppose, which is why i prefer the Sunset zone system. We get about 5.5 hours of sun on the shortest day of the year. We can’t afford to heat even our small greenhouse in winter. We do have one picture window and a few small windows that face south. We do have a protected garden on the south side of the house – moose proof. Have some containers on the small deck. Anything valuable has to be grown in soil from the commercial greenhouse, as our soil is thin and acidic. Peat is easily obtained. If mint would choke out invasive horsetails, I’d use it for that. Can you recommend mint varieties that would make good tea by themselves, or in blends? The cat has been negligent, so plan to keep a pot or two in the kitchen. The internet claims mint plants repel mice. Wow … you really face challenges up there! All of our mints make great teas, so can’t really point to one as the best. Not sure that I’d ever recommend a catmint though … we like Peppermint the best! I’ve had the same experience three times now and I’m not sure what I’m doing wrong. I bring rosemary in for the winter and it thrives for a while and then all of a sudden is gone. The water here (Upper Peninsula) is very high in iron so a water softener is required; is the soft water a possible cause? I keep it in a south window but our old farmhouse tends to be pretty cool. I have the same problem, I live in the Black Hills over a mile high. I blame the altitude. try rain water or bottled?